WeWi Telecommunications Inc. which are based in Canada have released a new laptop which is apparently powered by the Sun’s Solar Energy. The laptop, branded as SOL Laptop can charge itself using the Sun’s energy within 2 hours and can provide a backup of around 8-9 hours after a full charge. 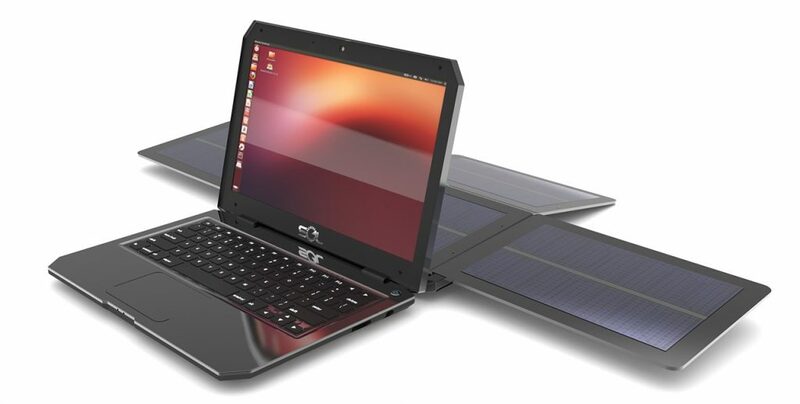 The world’s first truly solar-powered laptop. It never needs to be plugged in. Besides various attactive color combinations, the SOL Laptop comes in two main variants i.e the SOL Laptop and SOL Marine Laptop. While both these variants are equal at specs and most of the hardware, the Marine version is Submersible which means that you can dip your laptop even into watter and it won’t experience any damage. These Rugged and hard built laptops have a big 13.3″ WXGA display with a resolution of 1366 x 768 and are powered by a Dual Core 1.86 Ghz Intel Atom D2500 CPU which is coupled with 2GB (4GB also available) of RAM. Other than these primary specs, the SOL laptop also has all that a normal laptop offers. This includes an Intel GMA3600 GPU for handling graphics and a 320GB Hard Disk from Seagate to store important data. Audio is handled by a Realtek ALC661 HD audio card and there are two speakers and a mic for audio output and input. Connectivity options include 3 full USB 2.0 Ports, Headphone jack, Card Reader and HDMI, LAN connectors. The laptop also features GPS, WiFi Receiver and Bluetooth as connectivity options. The solar panels of the laptops will be detachable, which will make it easy for the users to work indoors while the Solar Panel is placed outside in the Sun to gather current. This can be done with the help of an extension cord which will connect the Solar Panel with the Laptop while it is detached from the back of the laptop. Coming to the pricing, the laptops are priced properly with the normal non-submersible version of the SOL laptop costing around $350. On the other hand, the Marine version of the laptop will cost the users around $50 more taking the final pricing to $400. Note that these prices are before any import duties and taxes charged by countries. Import taxes in high-tax countries may increase the cost further by over $100. To know more about these Solar Energy Powered laptops or to make a purchase, you can visit the official website of SOL.